DIY Electric Car Conversion - Is It Cheaper To Run? 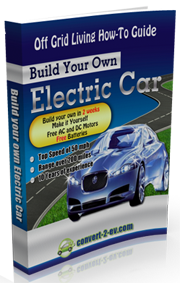 DIY Electric Car Conversion – Is It Cheaper To Run? Home/Do It Yourself DIY/DIY Electric Car Conversion – Is It Cheaper To Run? Many people would like to know if electric cars are truly more inexpensive to run than standard gas powered cars. At a quick glance, the obviously glaring answer would be a huge YES! The ability to drive much further on a dollar’s worth of electricity versus a dollar’s worth of gas is what we are looking at when we consider having greater efficiency. Of course, there can always be exceptions to this standard rule; however, it is common that a homemade electric car has about thirty percent more efficiency than a standard gasoline powered vehicle. Still, there are things to think about when computing the differences between the option of gasoline powered and electric powered forms of transportation. DIY electric cars use deep cycle lead-acid batteries, which can typically require replacement with a brand new battery pack approximately every three or so years, under normal operating conditions. The cost of doing so is approximately around $2500, give and take depending on the model of battery you use. A cost as great as this, is certainly something which must be taken into consideration when making a decision. Dependent upon on the exact type of lead-acid battery you have, you may also need to purchase one or two gallons of distilled water every three or so months, in order to top up your batteries. Although it’s not a huge expense, consider you could possibly distill it yourself if absolutely necessary. Taking that into consideration, let’s now look at the operating expenditures of an electric car: The first task is to work out how much it is going to cost in electricity charges each year to drive your car a distance of 10,000 miles. It is typical by conversion that you might expect to drive four miles per unit, referred to as a kilowatt hour, of electricity. The cost of a unit of electricity may be around fifteen cents (US), which would make the electric car really cost around 3.75 cents per mile to drive. At a rate of 10,000 miles per year, that would work out to about $375 worth of electricity per year. The possible generation of electricity is a whole other story, to be left for another conversation, but should be kept it in mind as an alternative to eliminate this cost. Next, we will add to the cost, the calculation of a new replacement pack of batteries. Remember, this is a cost of approximately $2500 every three years or roughly $833 per each year. Don’t forget that there are other fees too, such as insurance, road tax (as applicable), new tires and standard wear and tear. Add all that together and you could be looking somewhere around $1700 in expenses. (In this calculation, I have not accounted for devaluation of the vehicle since electric cars hold their value extremely well). The United States Department of Labor has stated that by comparison, the average gasoline powered car costs approximately $2,227 per year, just in gasoline and motor oil expenses. 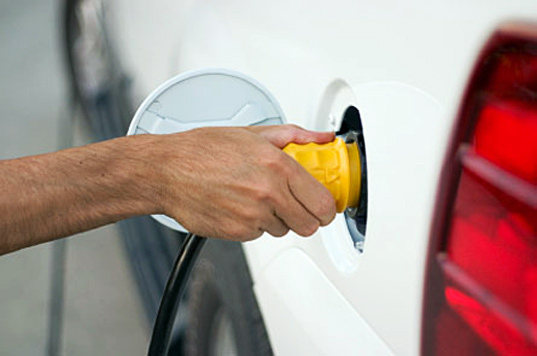 Gasoline powered cars cost an additional $2,355 in other common vehicle-related costs, such as fluid replacements, exhaust repairs, and the like. That is a total sum of $4582 US to drive a standard gasoline powered vehicle. Do note that these prices are based on gas being at a cost of or below $2.20 US per gallon. Even in the case of excluding tax breaks and the refunds available to many electric car drivers, and perks such as carpool lane access, free parking and free public charging, the average the electric car is a great deal cheaper to own and drive than the gasoline powered option. Remember, the more the price of fuel and oil rises (which is very likely by the way), the less expensive when compared will be the cost of a pure electric car. Are you planning to convert a conventional automobile into a homemade electric vehicle? If you are, it is best you read up on the science of electric car conversion.